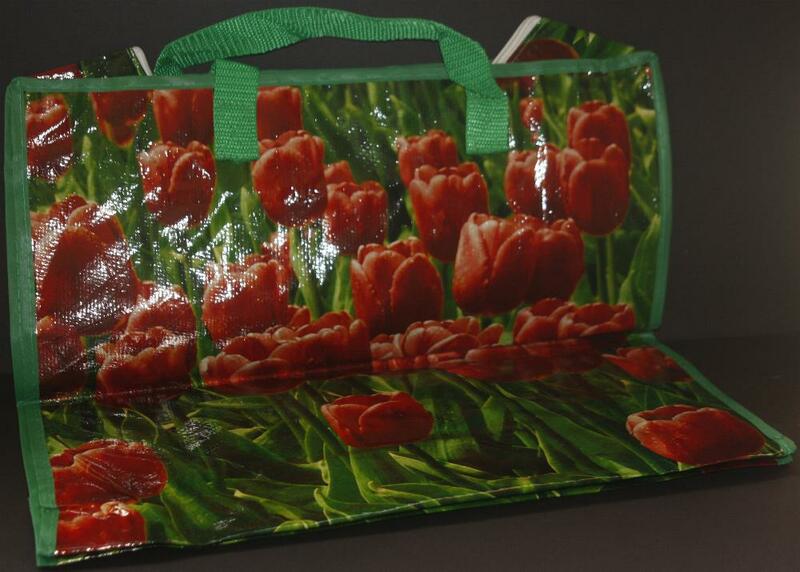 Shopping Bag -- Red Tulip Design - Souvenirs - The Dutch Shop LLC your store for Dutch groceries. Shopping bag with red tulip design. This bag has a zipper to close the top. 44cm wide and 45cm tall.